At Hearing Solutions we have over 25 years experience of testing babies and young children and our evidence based techniques and skills are very successful. 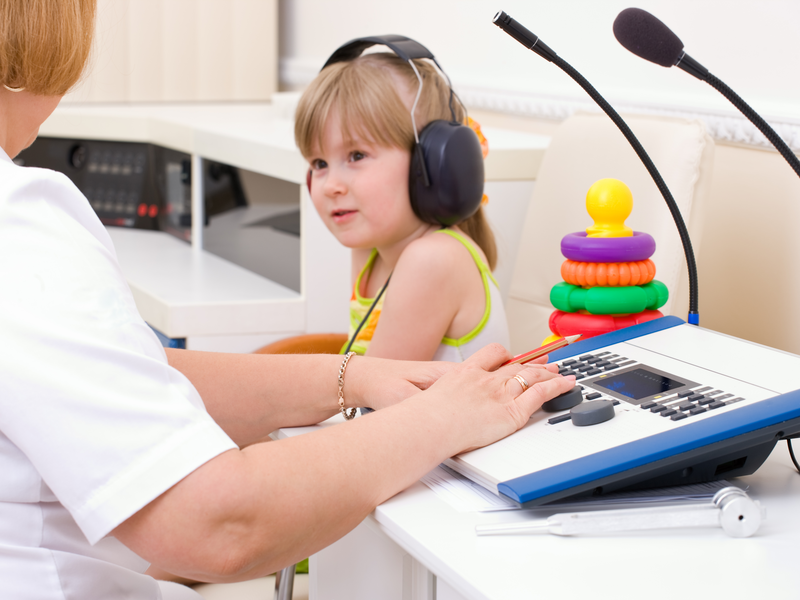 Play audiometry is a fun and interactive method of testing your child’s level of hearing with the use of toys and games and is ideal for pre-schoolers between the ages of two and five. It begins by conditioning the child to the task by playing a sound through speakers at a comfortable volume, at a level that is likely to be heard. The tester will show the child what activity they get to do when they hear the sound (i.e. when you hear the beep you throw the ball in the bucket) and guide them to this response until they understand the task. The test is then progressed with a series of warble tones are played via earphones or inserts, with the child asked to perform the small task each time they hear a sound. The aim is to complete an audiogram to determine the child’s threshold of hearing for speech sounds.